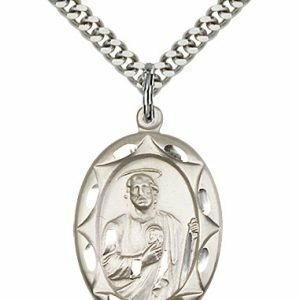 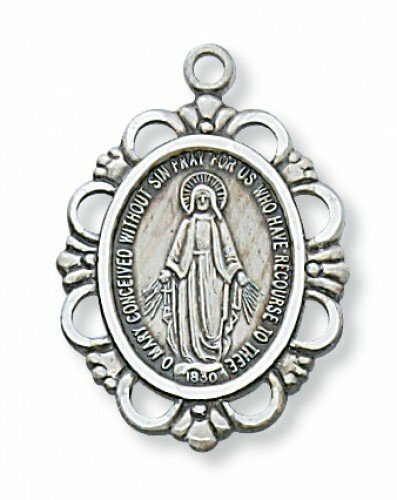 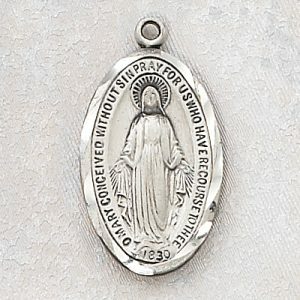 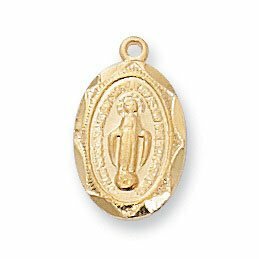 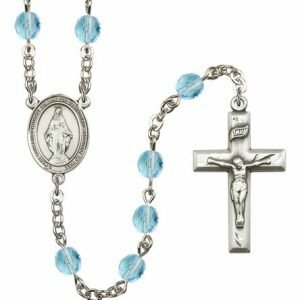 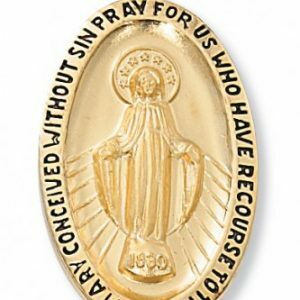 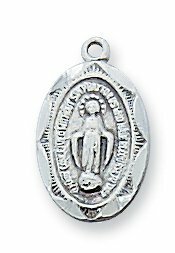 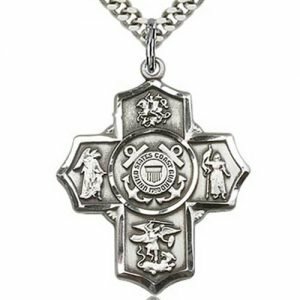 Beauitfully crafted sterling silver miraculous medal. 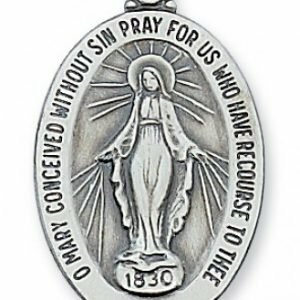 The oval center of this medal is surrounded by scrollwork. 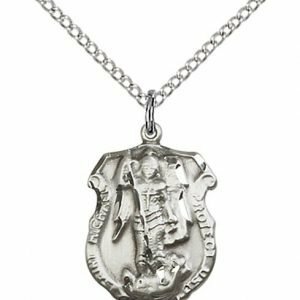 Medal is 1″ long. 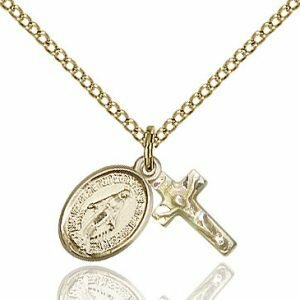 Comes with 18″ rhodium coated chain.